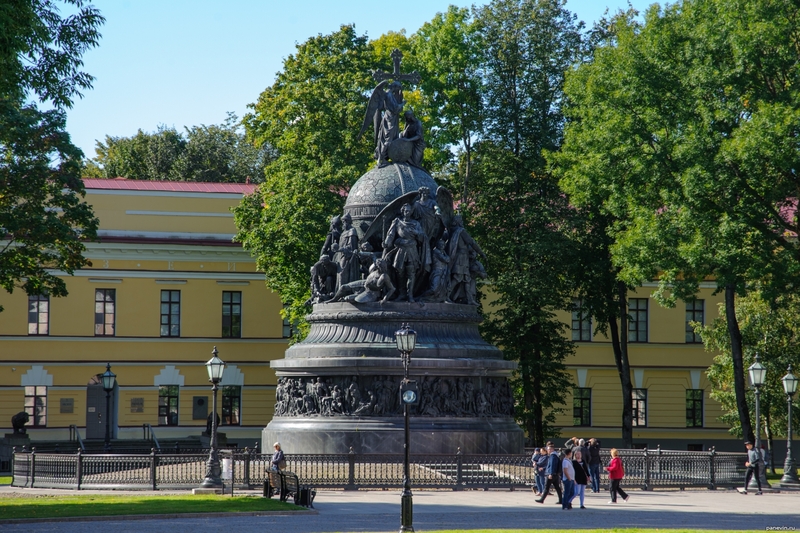 One of the main characters of Novgorod - the monument “The Millennium of Russia”, the monument was installed in 1862 in honor of the thousandth anniversary of Russian statehood. The authors of the monument project are sculptors Mikhail Osipovich Mikeshin and I N. Schroeder and architect V. A. Hartman. 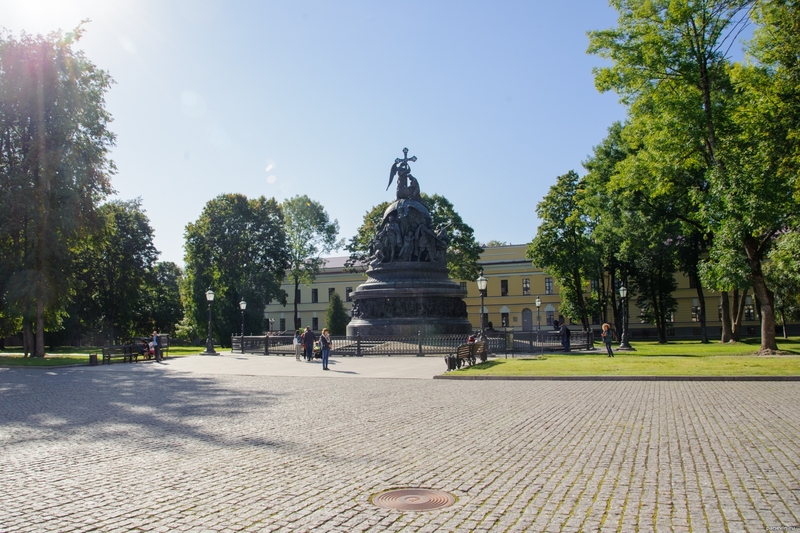 Blog, posts attractions, monuments, Novgorod Kremlin, Veliky Novgorod. Novgorod Kremlin — ancient russian fortress in old city Novgorod.